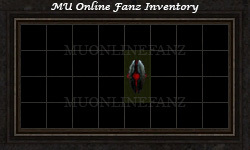 [Guide] [Quest] [Dark Stone] <+> [MU Online Fanz] <+> Official 3rd-party [MU Online] Fan Site & Game Guide! 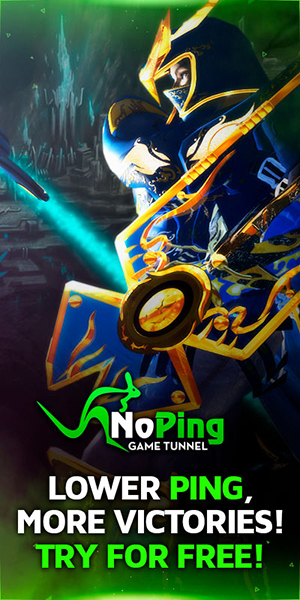 NPC [Marlon] is a loyal guard whom works for the [Church of Devias], assisting as a guard in various cities. He has received intel which suggests rumors of the [Dark Stone], an ancient treasure of the Knight's tribe, being located around the continent. 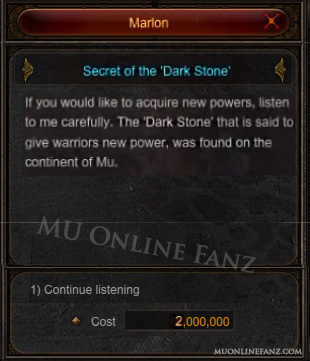 The [Dark Stone] was blessed with magical power and strength which can be used to gain extra abilities. 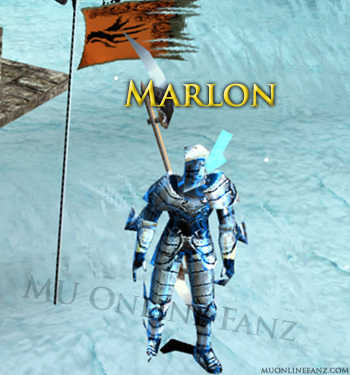 Agree to find the item for [Marlon] and he will show you how to use its ability. Offers a [Quest] for characters of [Character Level] [Level 220] or greater. The [Dark Stone] is an ancient treasure known to have been sacred to the Knight's tribe. Most records of the item have seemed to gone extinct, but information was learned that some of [Kundun's] minors may be using its power to their advantage! Not much information is necessarily known about the item, but it is known to have the ability to grant great strength and knowledge to its possessor. Although powerful, only descendants of the Knight's tribe will be able to understand and learn its ability. [Dark Stone] can be dropped by various monsters.